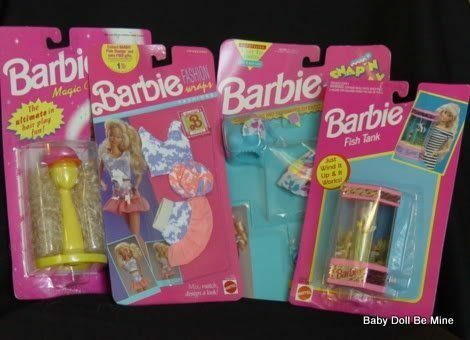 These really neat Barbie items come to you new and never removed from their cards. 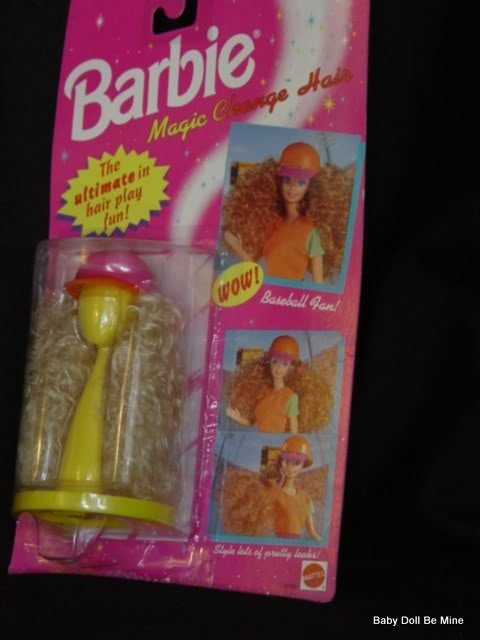 The first item is a Barbie blonde curly wig with a baseball hat. There were 6 different wig sets, this one being the Baseball fan. 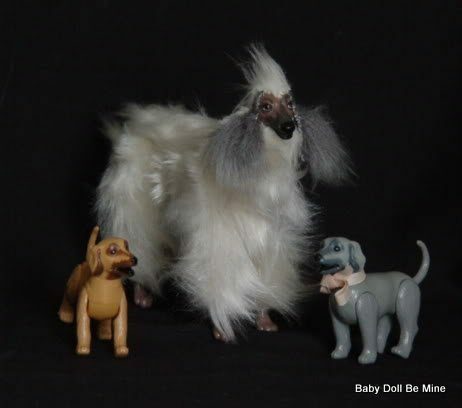 This set is from 1994. 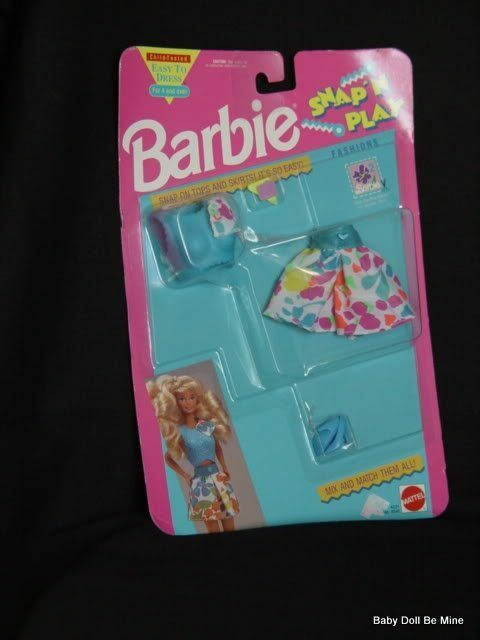 The second item is a Barbie Snap “n play fashion outfit set from 1991. 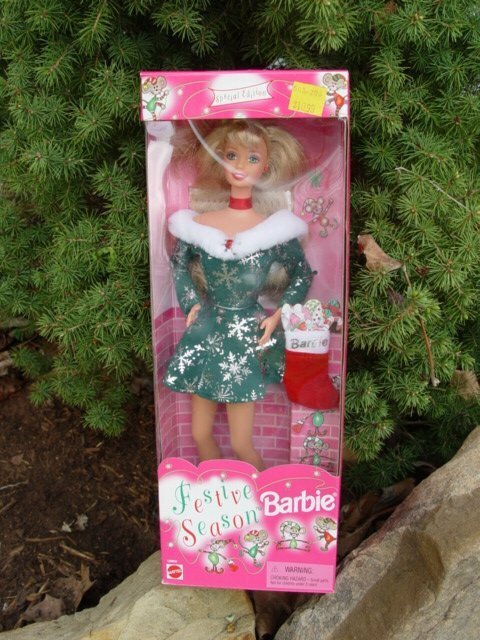 Really nice for the younger Barbie lovers who can sometimes have a hard time with the tiny clothes made for Barbie. 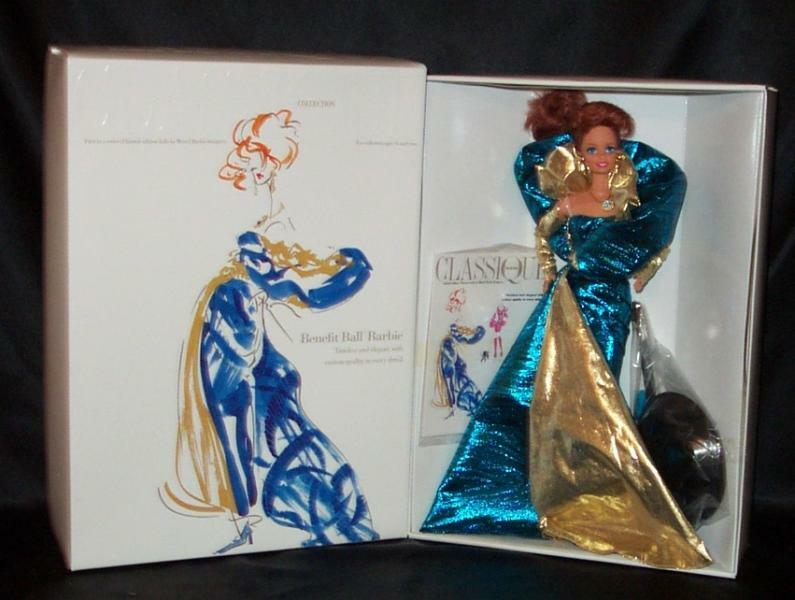 The set includes top, skirt, and shoes. 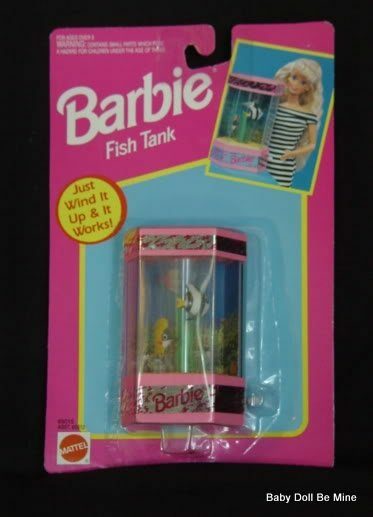 The third item is a windup fish tank with two fish. There is a windup knob on the side of the fish tank, and when it is wound, the fish begin to swim. 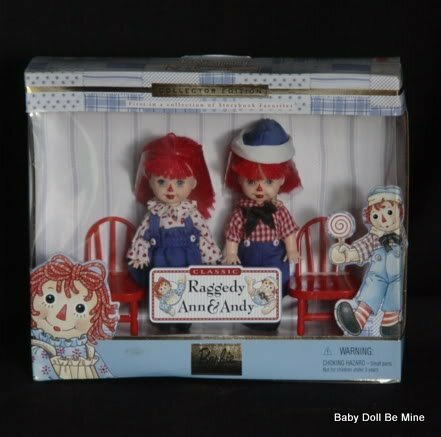 This set is from 1993. 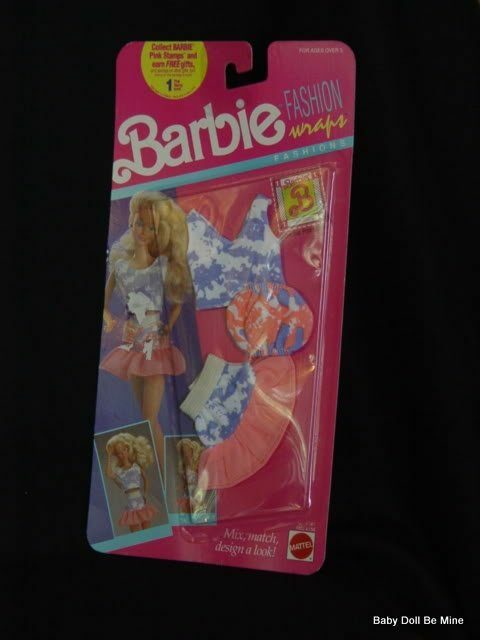 The last item is Barbie Fashion Wraps from 1990. The set includes two tops and a skirt. The cards are not mint and show slight shelf wear. Please see the photos as there are a couple of bends and a couple of places where price tags have been removed.